It is an undeniable fact that every person who uses Smartphone will be available to reach on Facebook. Here you can find unlimited entertainment stuff in video, audio, images and text format. The only problem occurs when you try to download Facebook live video for Android mobile. This kind of restrictions prevents you from share the viral videos via other social media apps. Therefore, a new kind of app has been introduced in market that can bypass all restrictions. 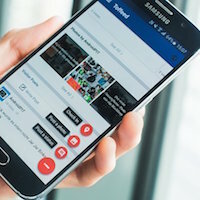 If you are struggling with this question that how to download videos from Facebook on Android, this article will reveal the mystery. As a typical Facebook user, you always wish to download some special videos to watch them in offline mode. Now, this has become possible with the help of Snaptube. Like a typical search engine, this app has all features that you are already familiar. Search bar, bookmarks, recommendations are the main highlights that one can explore in it. 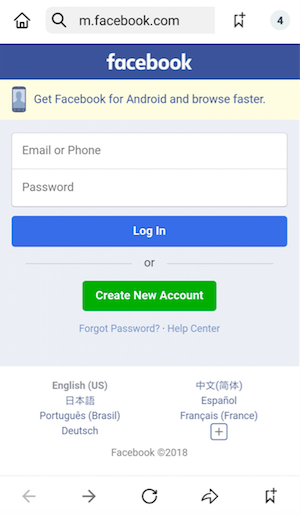 By signing in with an existing FB, you can download video of Facebook Android platform. In addition to Facebook, you can also quickly access and download media files from various sites in one place. Below is a detailed process that will illustrate how you can down any video of Facebook on your Smartphone. 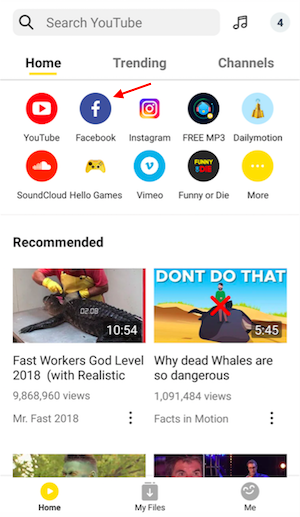 As a new user, the first thing you need to do is download Snaptube application. For a safe download, it is recommended to get it from Snaptube official website. Tap on the Download button to initiate the downloading process. When completely finished, visit the location of a file and start installation process. If it will warn regarding third-party app installation, allow the access because Snaptube is entirely safe to use. When the FB video downloader for android is installed, open the app to explore all options. On its homepage, Facebook will be mentioned in bookmarks section as default. Open it to visit the sign in page. Enter the Facebook ID that you are currently using for gaining access to all functions. For the ease of finding your favourite video, it is suggested to add them in the saved list when you find at the first site. If the video is not saved, search it in the search bar available on the top of the app. When the video will appear, tap on it to play. 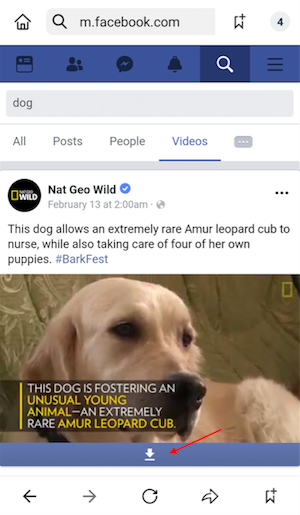 While playing the video, a yellow icon of downloading animates for signifying download video Facebook in Android device. Tap on it to find all available resolutions that can vary from 3gp to 8K. Select the video resolution that you want to initiate the downloading process. Once finishes, it can be played offline, or you can share on other social media apps. 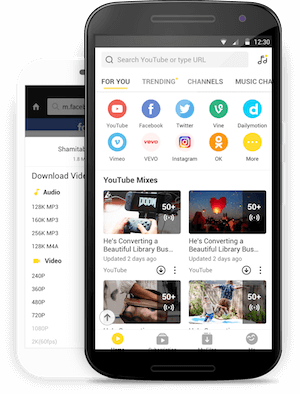 If you are looking for a reliable Facebook video downloader app for Android, nothing is better than Snaptube. It has a user-friendly interface where you enjoy all the features that other similar apps are offering premium charges.